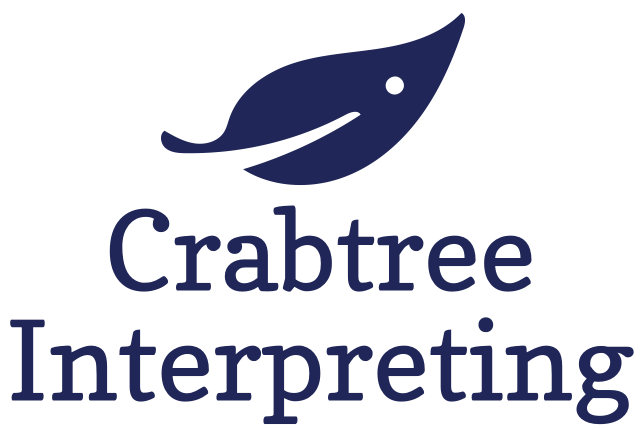 Crabtree Interpreting Services specializes in providing equal access to communication for people who are Deaf and hard of hearing in educational, social service,and community interpreting settings. Owned and operated by a team of ASL interpreters, we carefully pay attention to our clients’ needs, source the best interpreter for the job, and follow up with great attention to detail. Some people call it "great customer service." We call it Deaf Heart. We love what we do and we strive to be the best. We stay up to date on the laws and regulations. Through ongoing professional development we ensure that our interpreting skills are the best in the business. Contact us to set up a consultation using the contact form at the bottom of this page, or through phone or email to tell us how we may assist you. Use the form below to contact us regarding your interpretation needs. Please be as detailed as possible. Include your industry along with any specifics about the request itself (date, time, location, subject matter, etc). We recommend that you first describe the nature of the request, the parties involved, and any other pertinent details. You may also email or call us to make a request. For job opportunities, please email us your resume and copies of current certifications. We’re always looking for new and exceptional talent to join our team. Please do not include confidential or sensitive information in your message. In the event that we require this information to process your request, we'll collect it at a later date. Thank you! We'll get back in touch with you soon.